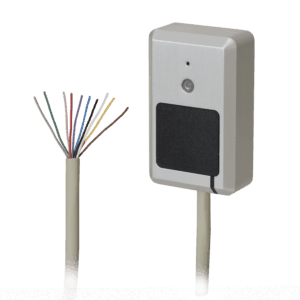 SPC allows for up to 5 profiles per user, users can be quickly defined with predefined access levels allowing for instant access, this model also allows for a complex definition of rights, with permissions varying by time of day, area, system state, and conditions. 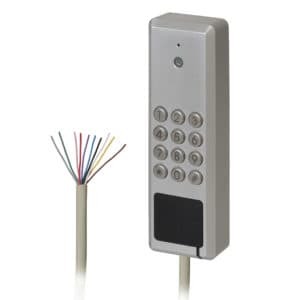 Using the SPC communications systems and SPC cloud the system can be continuously monitored and controlled remotely, the SPC mobile app allows for the remote control of doors with the SPC cloud allowing for the remote configuration of users and permissions. 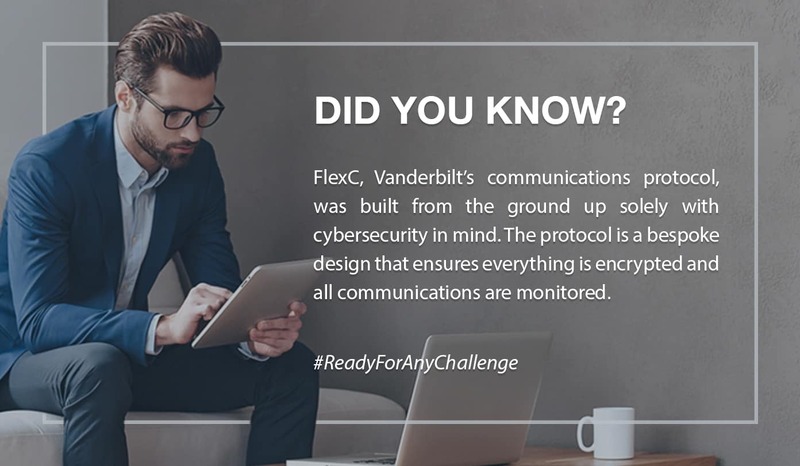 With Security and intrusion at its core SPC access system interacts with intrusion system to ensure security, the ability to have complete control of users intrusion and access rights within a single system. With SPC intrusion integration the access functionality can be used to control and interact with the intrusion system. SPC provides a local web interface, a cloud interface and a proprietary interface allowing for you to define how you wish to control your system. 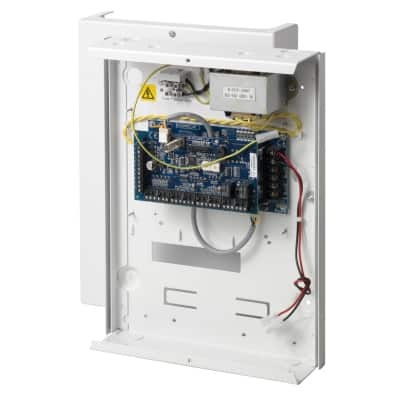 The SPC door controllers are designed to support a wide range of readers with over 70+ variants of Wiegand and Clock and data interface. 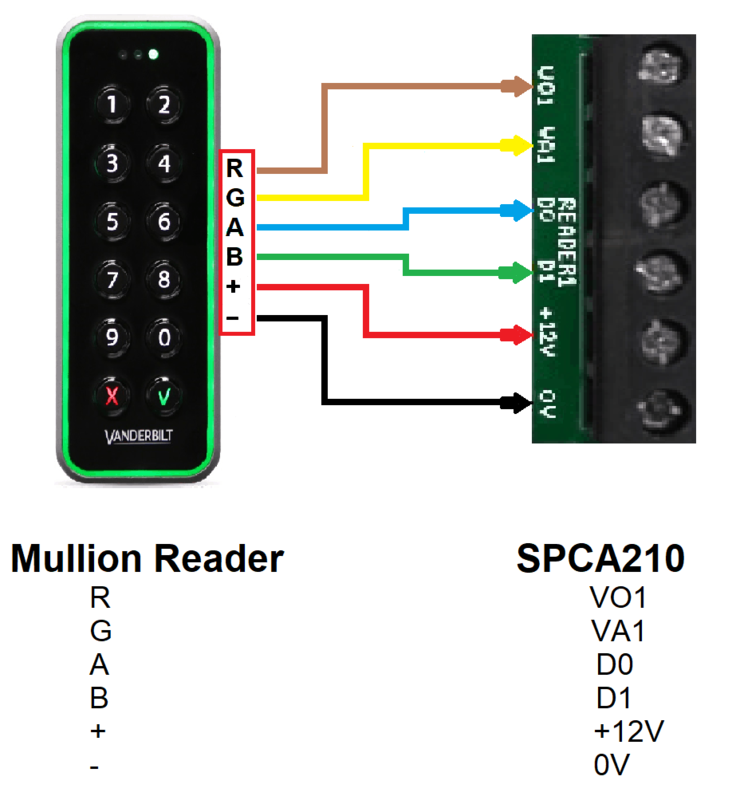 This means that SPC can support Vanderbilt readers and also readers from other major manufacturers. 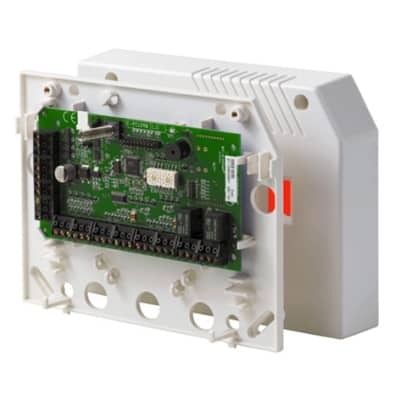 Control and restrict access by only allowing one door to open at a time, the interlocking functionality ensures that only one door can open at a time. 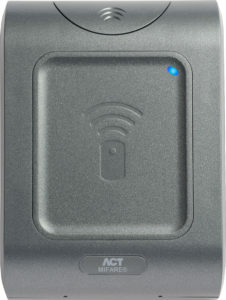 Control and restrict access by only allowing a card to gain entry to an area once until the card leaves the area. Anti-passback operates by allowing entry and once the door is opened the user is inside the door group until the user leaves the door group the user access will be denied. VR Mullion reader - Modern attractive looking reader with hardwearing materials which endure the most challenging weather conditions. Multicolour programmable light frame on all readers which enhance the look and functionality of the reader. The customer can choose colors for each outcome and the rest state. OSDP or Wiegand connectivity supporting MIFARE card technology including EV1 and EV2. 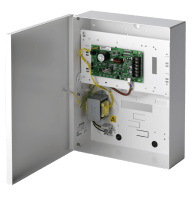 Designed for today’s bright, clean interiors, yet robust in service, the VR40S-MF is easy to install, use and maintain. 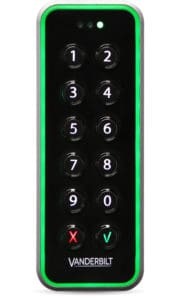 The VR40S-MF has three indicator LEDs and a buzzer for audio verification. 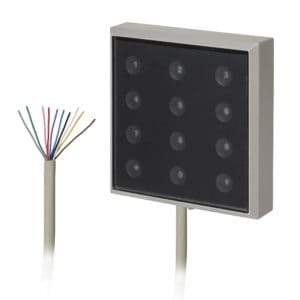 A multicolor light frame enforces access status information. 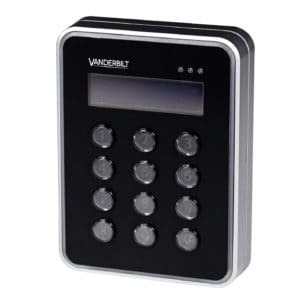 This can be configured to follow the indicator LEDs, or any number of different options. 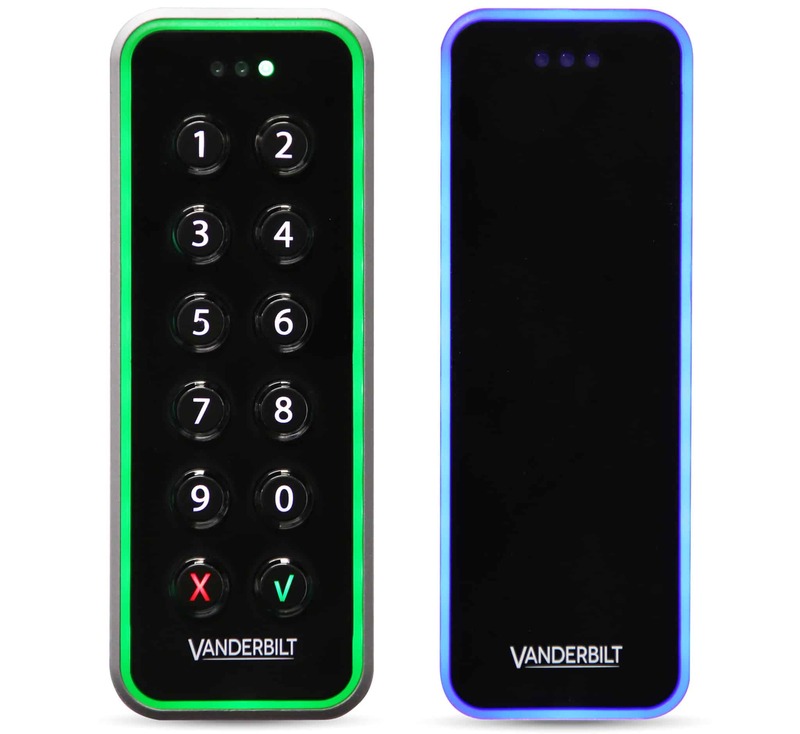 It has a high quality backlight keypad with tactile feedback as well as a graphical OLED display to maximise user interaction with arming, access and recognition messaging etc. resulting in improved and enhanced user interaction "at the door". 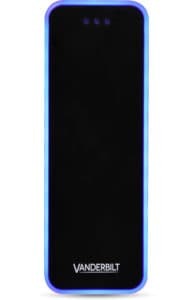 Display brilliance is set automatically by an inbuilt light sensor. 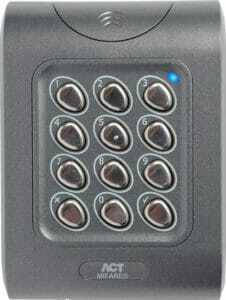 Keypad and reader, which is suitable for internal & external applications, surface mounted. 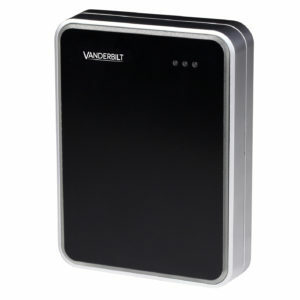 The device has two input features; numeric code and electronic coded card or fob, VdS approved G115050. 4m of 10 core cable are factory fitted.